Note: Many Argyle books list him as Cyril. This is incorrect - Football League records and his birth certificate confirm he was Cecil. 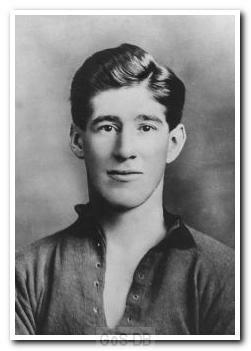 Eastwood joined Argyle in the summer of 1920 from hometown club, Castleford Town, and went on to make over a century of appearances in Green, mainly at left-half, in a four-year spell. He was not selected for Argyle's Football League debut XI against Norwich City, but managed his first start a month later in the 5-1 home win against Newport County. Departing Home Park in 1924, he went on to play for Preston North End, Stoke City and Stockport County.